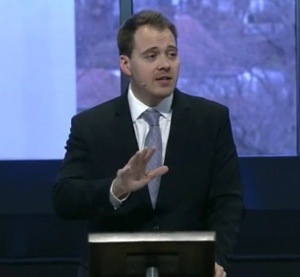 123012 Sermon from Cross Church on Vimeo. The Christians life should be a bold life, in a world obsessed with death we should burst out of this church proclaiming the message of life! The gospel is not a set of rules, it is NEWS glorious news that death has been defeated and its pain absorbed and its penalty paid by one who new know sin. And it is because of that we can begin to live our future life.